After you’ve settled comfortably in Edmonton, you should take some time out to do some sightseeing. There are plenty of things to do in Edmonton and it’s always good to make the best of the unique attractions that the area has to exhibit. 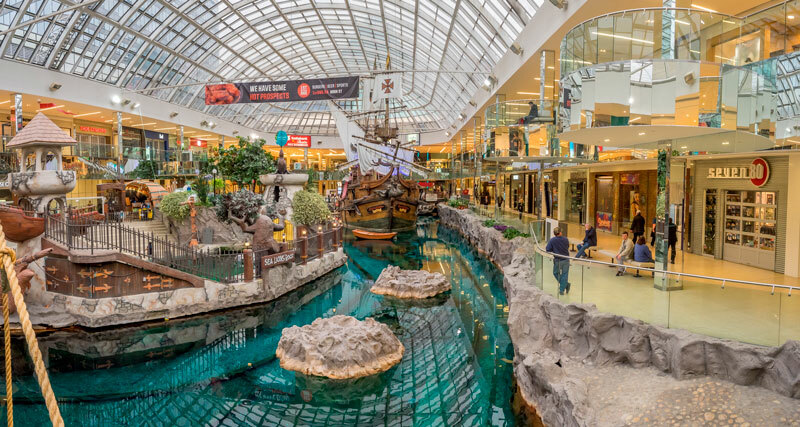 West Edmonton Mall is nationally acclaimed as the biggest indoor shopping facility on the continent. The mall has tons of attractions to entertain all kinds of people – with thousands of shopping outlets, dining facilities as well as an adventure park complex for the kids. 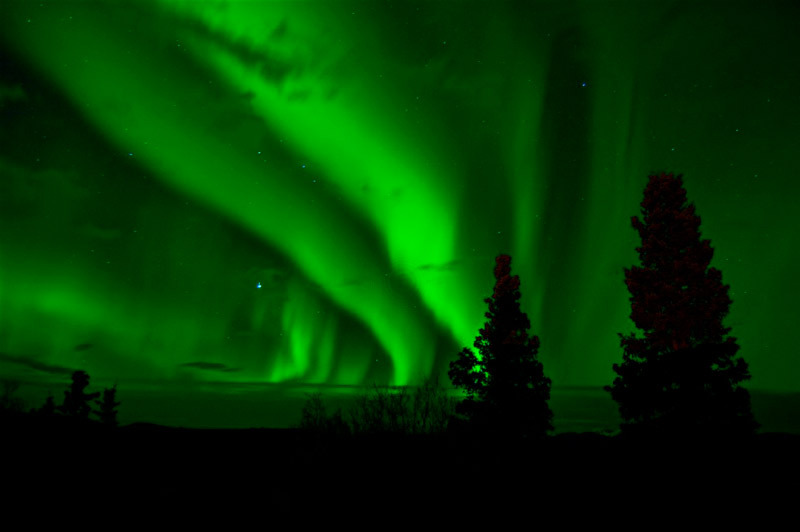 Revel in the sheer natural beauty of the Canadian sky as you gaze upon the Alberta Northern Lights which can be seen in Edmonton. Grab a friend, stay up late, dress warm and pack a hot mug of coffee to witness the breath-taking phenomenon that takes place in the Edmonton skies in the winter season. 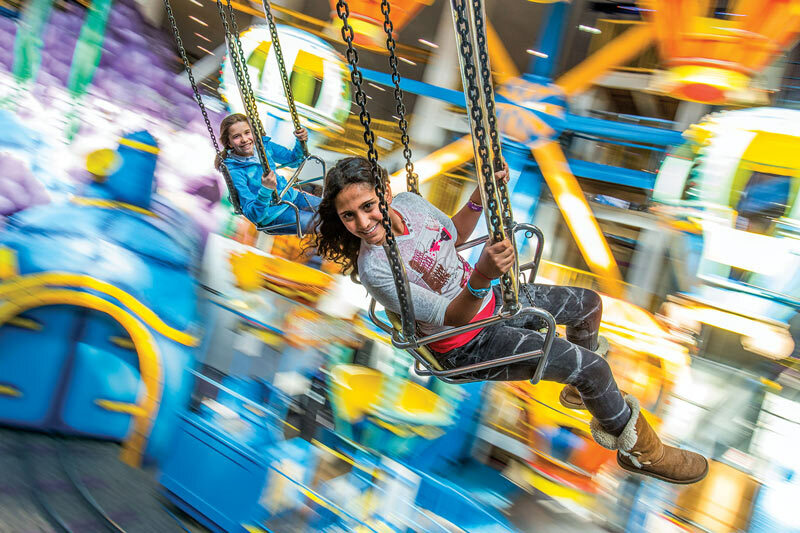 Located in the West Edmonton Mall, Galaxyland Amusement Park is the world’s biggest indoor amusement park with space-themed rides and other fun activities to suit all ages. If it’s a thrill you seek, or even if you’d like to spoil the kids, the amusement park is the perfect venue to find it. The venue’s largest attraction is called the ‘Mindbender’, a triple-loop roller coaster. There are other exciting rides which includes the Space Shot and the theme park also has a laser sharpshooter experience called the Galaxy Quest 7D which allows you to interact in a live simulation. If you are interested in fascinating architecture and horticulture, then the Muttart Conservatory is a definite must-see. The three pyramid domes each hold an exotic themed garden that house different biomes and species of the world. Each pyramid transports you to a different place in the world and showcases a different theme for each – tropical, arid or temperate. The biggest attraction at the conservatory is the giant Amorphophallus titanium, nature’s tallest flowering plant, also known as the corpse flower. 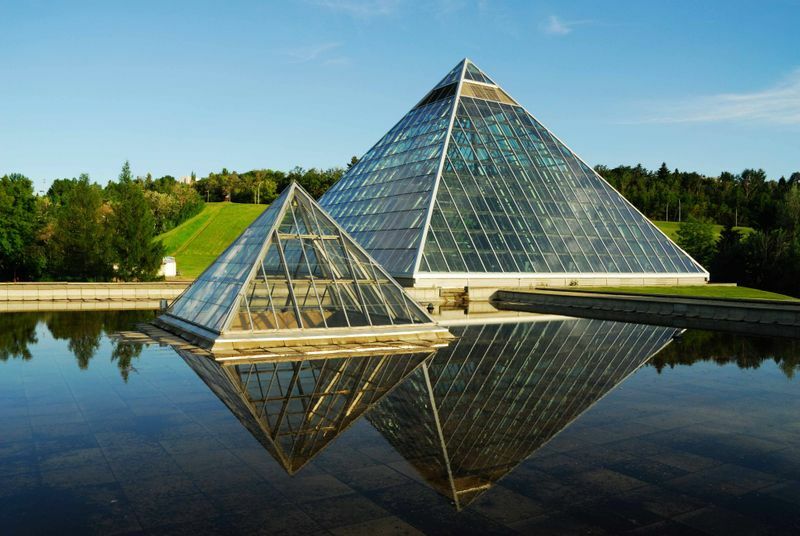 Edmonton has plenty of interesting museums to explore – from art to culture and heritage – the museums cater to a wide range of palates. The Royal Alberta Museum is a family favourite and allows you to gaze into history with petroglyphs to prehistoric dinosaurs, and from 500 generations of First Peoples. Invite your family to discover a piece of history and look at the ancient artefacts and fossils at this famous Edmonton museum. The Neon Sign Museum is also a large attraction in this area. Representing the 20th century, this museum remembers businesses of the past and also commemorates a dying industry of art. Are you coming to Edmonton and interested in learning about the most viable places to stay as well as their communities? After you’ve settled comfortably in Edmonton, you should take some time out to do some sightseeing. If you are in search of quality education, Canada is the place to find it. Find out all there is to know about living in this large town. How much to pay for groceries, rent, the common price of fuel and more! Edmonton is the capital of Alberta, Canada and has been lovingly dubbed the ‘Festival City’ because of its year-round festivals.